We strive to make our Online Executive MBA (EMBA) program relevant, rigorous, and evidence-based. We know the market for the EMBA degree is crowded, but we think ours is one of the best values out there from an AACSB accredited College of Business. 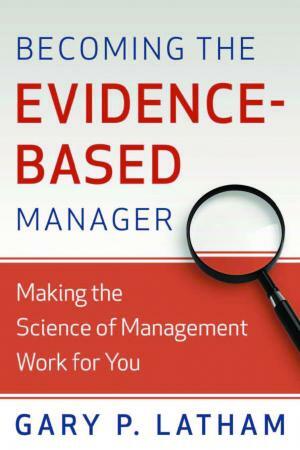 One of the books that is assigned reading in my Organizational Behavior class in our first cohort of students is “Becoming the Evidence-Based Manager: Making the Science of Management Work for You,” by Gary Latham. In the chapter on how to develop and train to create a high-performing team, Latham talks about the value of encouraging errors. Latham counsels that if you want the folks on your team to become creative, high performers, you as a leader have to encourage and celebrate errors. As you pursue your EMBA, try to keep a learning rather than a performance goal orientation. Understand how to achieve in each class (e.g. pass exams, write specific types of papers, complete assignments), but then stop chasing the points and chase the learning instead. Your professors track points because they have to, but only you can really evaluate your learning. Step outside the assigned work in each class and develop for yourself ways to apply the new information, knowledge, and understanding to change your behavior and become a better leader and organizational citizen. That’s your responsibility to yourself, and only you can hold yourself accountable for continually improving and learning. Is Your Goal Performance Or Learning? Posted on October 28, 2011, in evidence-based management, organizational behavior and tagged goals, learning. Bookmark the permalink. Leave a comment.